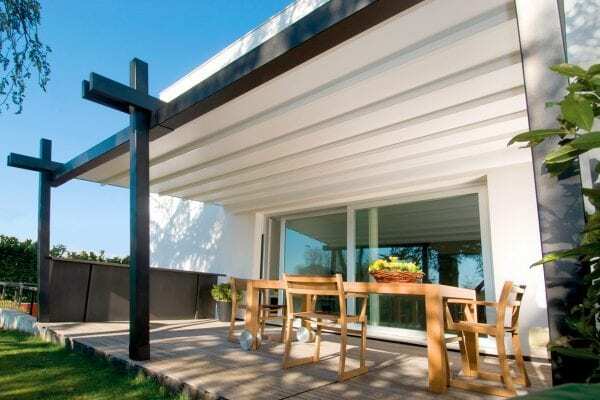 Modern living comes from the connection between indoor and outdoor, which adds new spaces to the home, widens the domestic horizon and rethinks outdoor areas as innovative comfort rooms enjoyable all year round, even when it rains persistently and the light and heat of the sun are too intense. 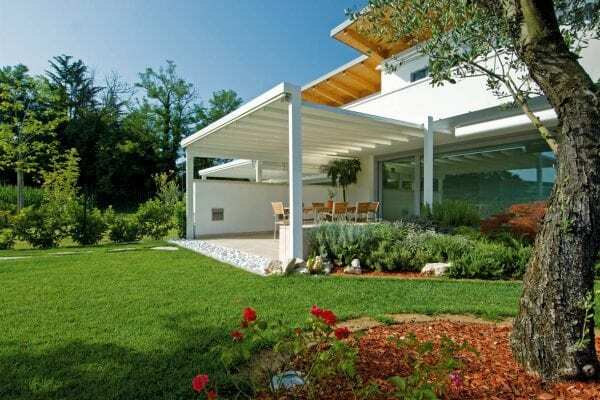 A concept that has been guiding Pratic’s design for over half a century, to create refined architectural and design elements that allow you to look at your own home no longer as a closed environment, but as a place that is sheltered while remaining open to the landscape. 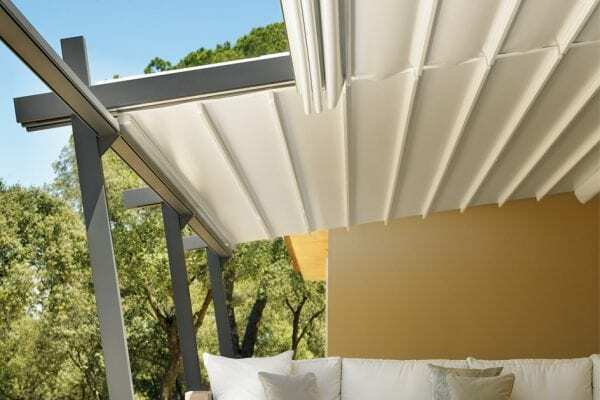 Pergolas and covers create real outdoor rooms. 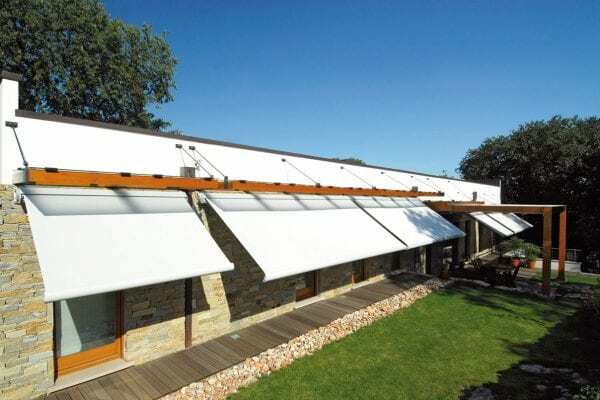 These technological solutions interact harmoniously with the outdoor environment, allowing for natural air flow during the hottest days, thanks to adjustable blades and retractable covers; the pergola can be completely enclosed in case of bad weather or cold temperatures, thanks to the possibility of adding real perimeter tempered glass windows to the structure. 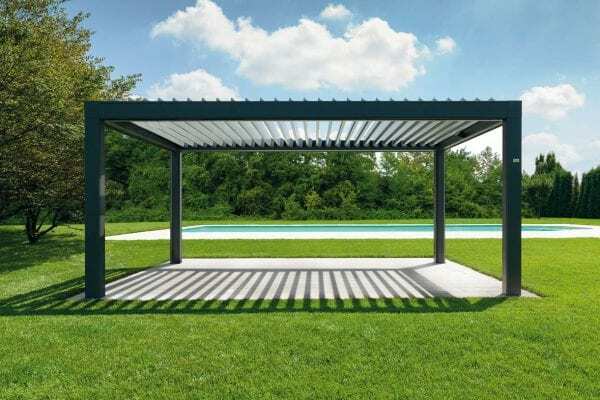 Modern porticoes connecting the indoor with the outdoor are created from the covers installed against the wall, while the self-supporting pergolas fit and furnish the natural landscape of the garden or the exclusive and metropolitan environment of large city rooftops with style. 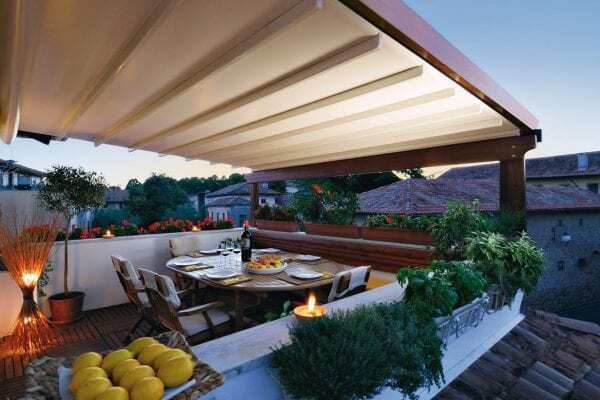 Terraces and balconies can also benefit from the shelter and privacy guaranteed by the use of awnings with refined fabrics and colours, which also provide protection against light and UV rays. 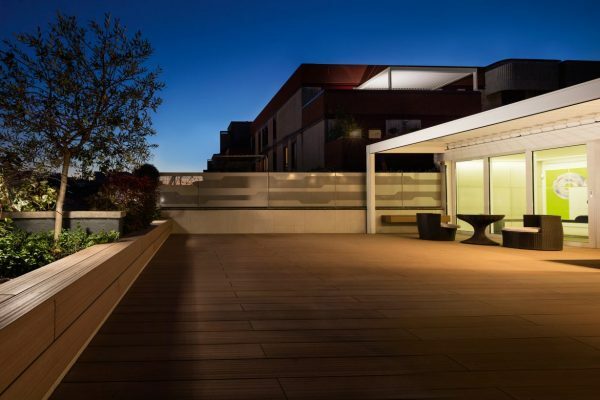 While the integrated lighting allows you to enjoy the pleasantness of outdoor patios and the beauty of the panorama even in the evening. 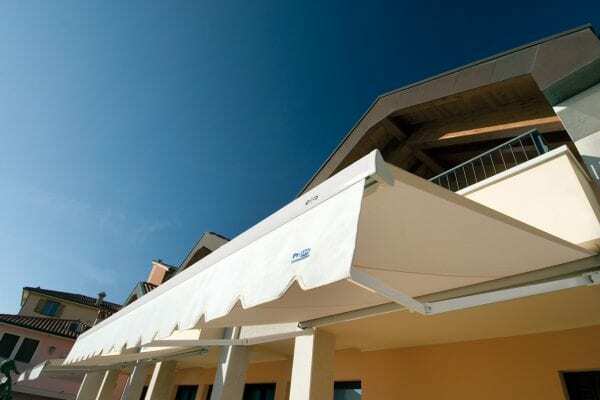 Pratic sun awnings and pergolas are functional and advanced covers, designed to be a refined furnishing element and a recognizable style accent for every outdoor project. 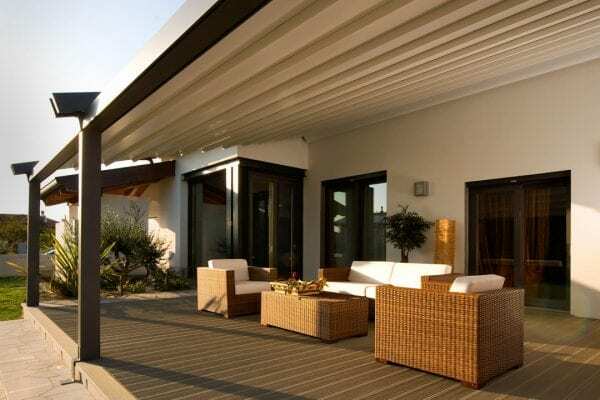 Clean and clear lines, essential design and meticulously finished details are the characteristics of these new open-air living areas, where materials and shades are inspired by current interior design trends. 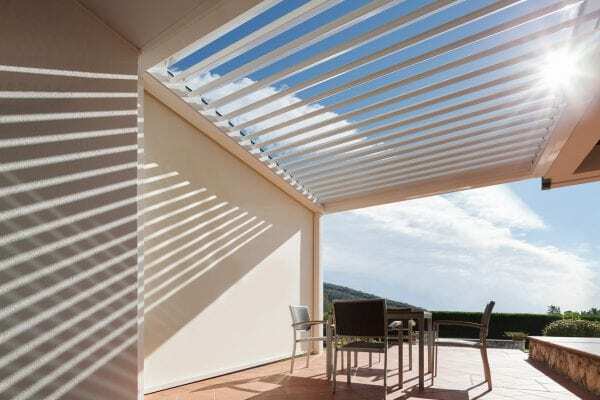 Under the banner of absolute comfort and elegance, Pratic creations pursue the values of beauty and wellbeing of open-air life, which can be enjoyed in your own home at any time of the day and throughout the year.